Can your Loan Origination System Vendor Relationship Be Saved? I eat, sleep and breathe lending, so of course I’d recognize the glaring similarities between the recent royal wedding and my bank and credit union clients’ relationships with their loan origination system vendors. It’s just too bad that, unlike Meghan Markle, bankers can’t all have six months of training ordered by the queen to help smooth over the rough patches in their relationships. LOS vendor relationships aren’t historically matches made in heaven. If they were, the early wining-and-dining would be followed by optimistic promises fully delivered over the term of the contract. Instead, the months tend to pass as the vendor doesn’t back up its claims, and the wine and the relationship sour. Service issues should never reach the point of driving away a client, but as many lenders know, some vendors are falling severely short right now. While most vendors are heavily investing in their platforms, some are not doing what they need to do to keep their products, and subsequently their clients, competitive in the market. Over the years, I’ve seen these relationships in various levels of distress, with lenders teetering on the verge of dumping their vendors that fall into three categories: 1) Vendor Burnout, 2) Grass is Greener and 3) Admittedly Unknowing. Sometimes the relationship can be salvaged, and sometimes the situation has escalated beyond redemption. Even with declining research and development and a lack of investment and support, a vendor can keep a system alive well past its prime. Lenders working with these stale platforms have a long history of managing issues, non-responsive vendors, and a mounting pile of unresolved service tickets. In addition, vendor acquisitions or changes in management have made what were once tolerable service levels unacceptable. In fairness, LOS vendors have been crushed in recent years with mandated compliance enhancements, which have put “wow factor” development on the back burner. But some vendors are leaning a bit too heavily on the “compliance requirements are dominating our roadmap” crutch, and lenders in this group are tired of their vendor’s failure to keep its products competitive. Regardless, the vendor has been failing and the client is calling them on it. When a lender suffering from vendor burnout decides to make a switch, the financial institution’s existing vendor doesn’t stand a chance in the selection process. In most cases, even a strong, next-best-product offering won’t tip the scales in the incumbent’s favor. A lender looking to swap LO systems is not always doing so because he’s dealing with customer service issues, nor is his vendor dying a slow death. No, this lender is just under the illogical misconception that the bank’s process, staffing and performance troubles can be magically solved with a shiny, new LOS. Plus, he believes flashy technology will make him look good to the board. The grass is greener lender who insists on a new system, anticipates being able to coast through the system selection effort giving due diligence and functionality needs only a cursory look. Because system needs were not clearly identified in advance, three years later he will find himself in the same situation when he succumbs to LOS envy at an executive cocktail party. Lenders in this group have incredibly low turnover, which can be a strength, but they lack knowledge of best practice processes and competitive systems in the market. Most staff started with the institution right out of college, have been there for years with a solid portion heading toward retirement. These lenders have been on the same system for so long, they don’t know anything different, but they feel they should be booking more loans or operating more efficiently, or … something. Maybe there’s a new system out there that will help them with that, but they just don’t know and their way to deal with that is to search for a new LOS. These lenders go through a system selection to head off an identity crisis. The process of defining system requirements, facilitating vendor demos and investigative due diligence is a valuable learning experience. They must also outline their desired future-state processes and strategic expectations in excruciating detail. This exercise can potentially add more value than the new LOS itself. What’s a Lender to Do? Sometimes the lender’s lack of understanding of the LOS can be the real reason underlying the dissatisfaction in the relationship. While lenders under the influence of vendor burnout are not likely to come down from that ledge, lenders can put a few checks in place to help separate fact from fiction and get their LOS vendor relationships back on track. Minimize outstanding issues with vendors and ensure they are reported frequently to management. Easier said than done, but many times, management is not adequately in touch with unresolved vendor issues. Conduct annual performance reviews of your systems and processes. These can be done by the vendor or a third-party, but the validation and/or potential gaps identified are well worth the effort and expense and can potentially stave off an unnecessary system conversion. Support your LOS with a strong, designated system administrator who is current on all platform capabilities and training. More on that here. Ensure current system functionality is leveraged to its fullest, through a combination of effective system admin utilization listed above and continuous due diligence with the vendor. Leverage staff and their knowledge of existing process gaps to make continuous improvements to the LOS and processes. Re-train staff on a consistent basis. It’s the best way to ensure everyone is using the system correctly to its fullest potential and that all team members are following the same process. 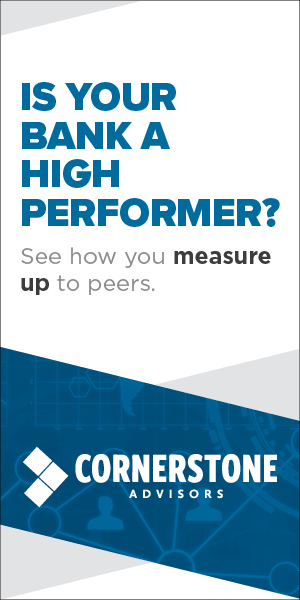 Take subjectivity out of the equation and monitor performance metrics. If performance metrics are not currently tracked, start tracking them. Get mini-demos from vendors and involve a small, core group of subject matter experts in the review. Sure, you open the doors for potentially unwanted sales calls for months to come, but the trade-offs in staying current on advancing system capabilities in the market are worth it. Not all high-performing lenders are on the “best-in-class” LO systems in the market. Instead, they have supplemented above-average solutions with strong management, talented and tenured staff who continuously strive for improving their processes and tweaking systems. If the institution determines that internal issues are not the cause of its LOS vendor dissatisfaction, the team that performed this fact-checking process will be better prepared to start looking at new systems.